“Je Suis Prest” got us even more excited (and even more scared) about what’s ahead for our favorite clansmen. 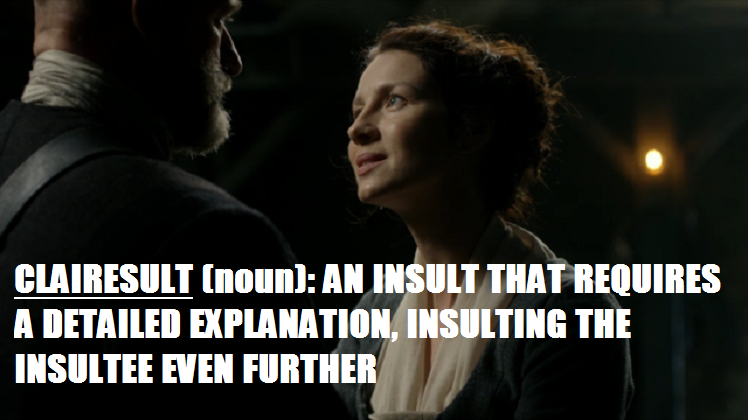 Everything about this episode was perfect–from Claire’s PTSD to just the right amount of shirtless highlanders–but let’s take a look at the best of the best in this week’s installment of Outlander Superlatives. 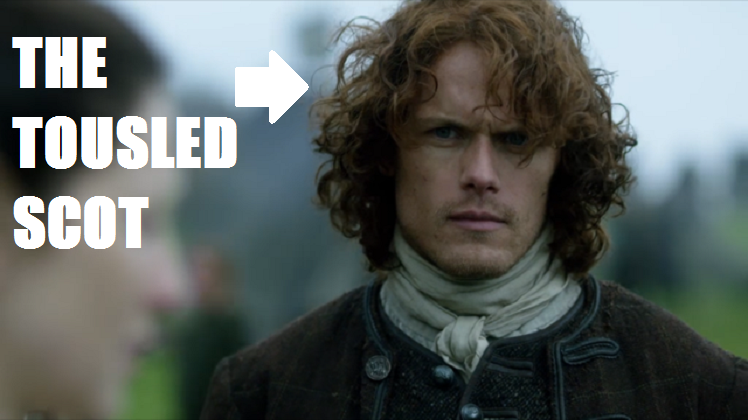 In case things weren’t clear last week, we are so back in Scotland, and here’s what that really means: Our favorite highlanders have reunited, there are a lot more kilts, and Jamie’s hair is super wind-blown. 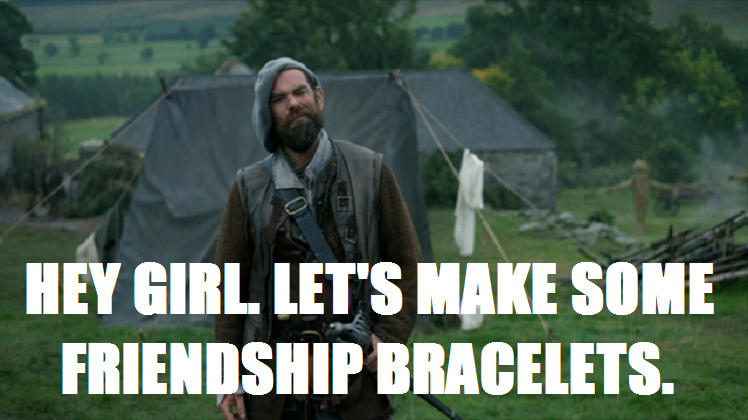 Did anyone else catch Murtaugh winking at Claire? When did they become besties? Are they getting matching friendship necklaces? Are they going to choreograph more song and dance numbers? Do you think Magnus is going to catch wind of it in France and get jealous? These are questions I need answered. 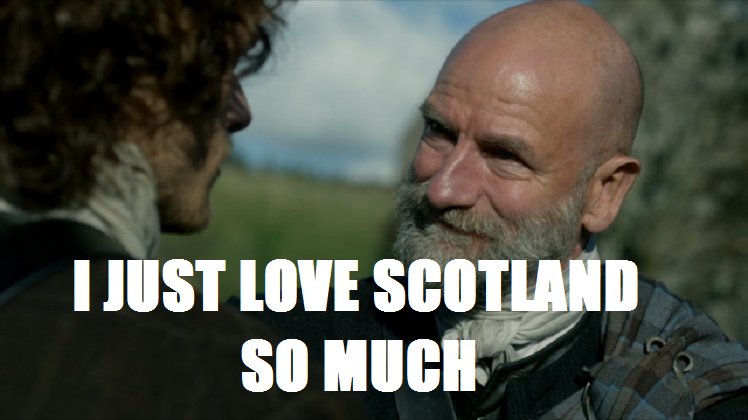 When Bonnie Prince Charlie forged Jamie’s name on that document in his support, I wondered how he knew all of Laird Lallybroch’s 37 names. Now I realize why. 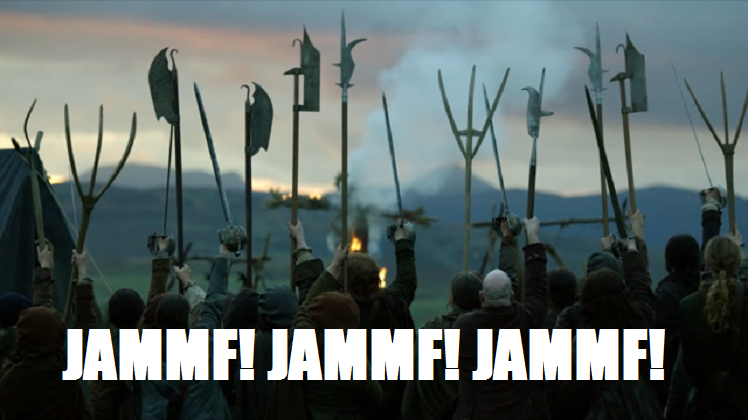 JAMMF loves telling people his name is JAMMF. 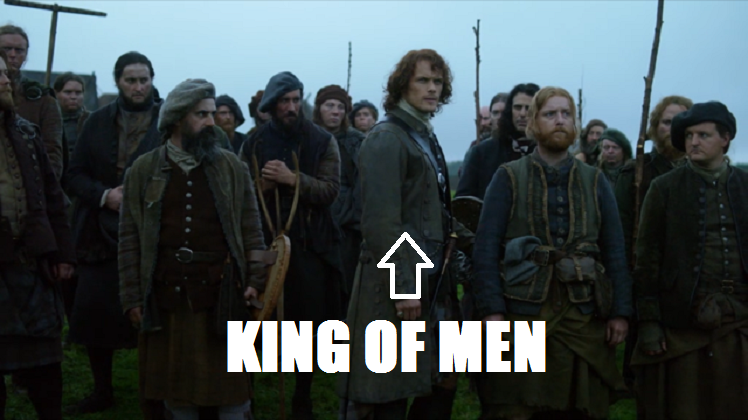 When Dougal brought in his new “recruits,” JAMMF could have just told them that they were free to go. 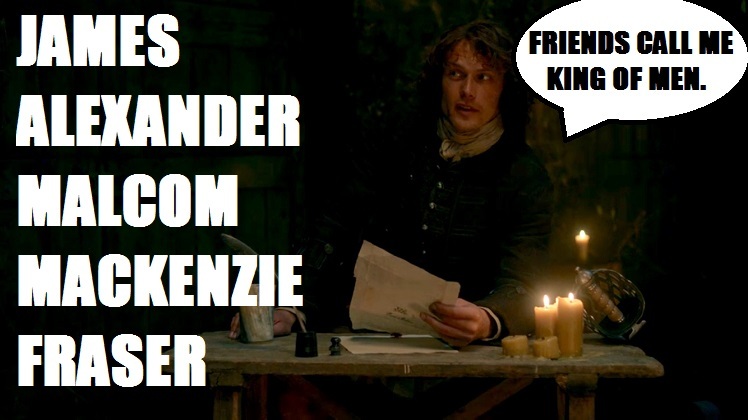 Instead, he had to take five minutes to introduce himself formally as James Alexander Malcom Mackenzie Fraser, and I can’t say I blame him because James Alexander Malcom Mackenzie Fraser is a damn good name, even if he might have a hard time fitting it on his business cards. 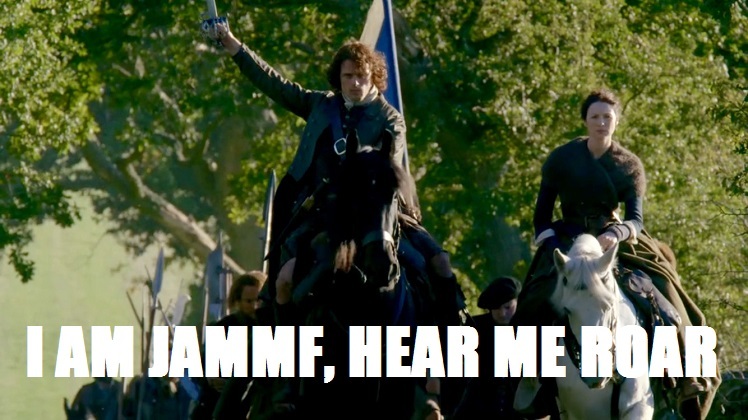 In related news, this is how a JAMMF sits. That is all. A young British soldier waltzes in and tries to kill Red Jamie and all of a sudden the internet explodes with #LORDJOHNGREY!!!!!! 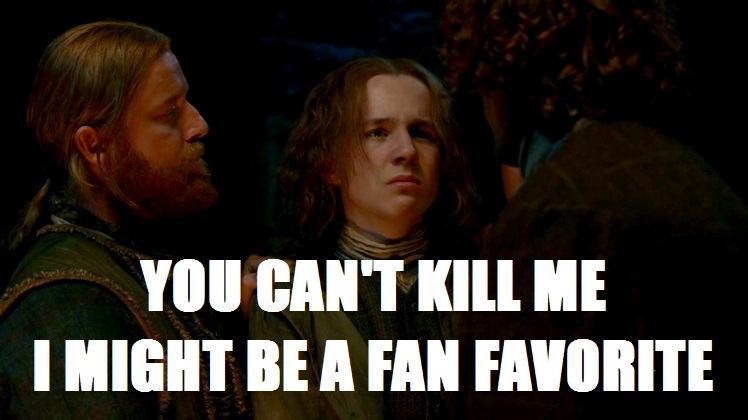 No spoilers for non-book readers, but as the lad says, a Grey doesn’t forget an obligation. 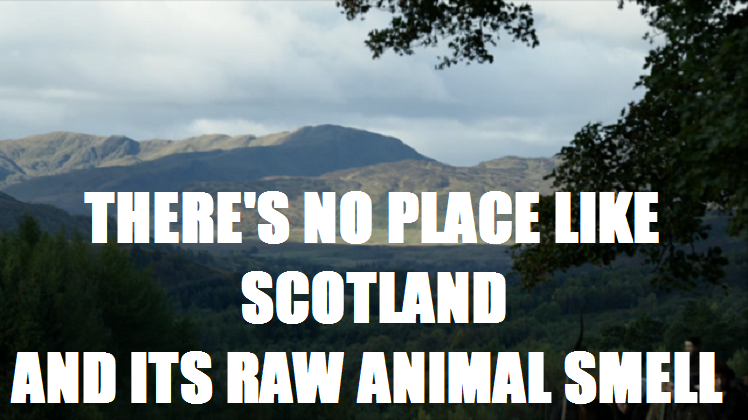 Life is long, and Scotland isn’t all that big. JUST SAYIN’. In summation, “Je Suis Prest” rocked my world and I am verra, verra prest for what’s to come. 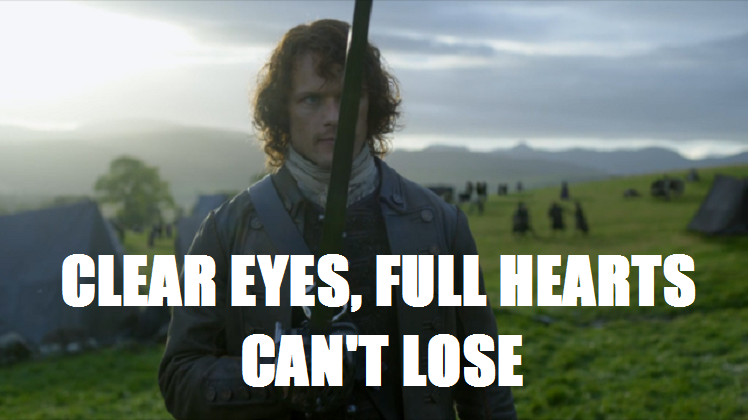 Where General JAMMF leads, I will follow. Because we all know he looks great from behind.